The Computer courses at Kolej Sunway Kuching not only increase the students’ own skills but are also a pathway to City & Guilds and LCCI Examinations, giving the students a certificate that is recognised world wide. For those students wishing to take the exams Sunway offers free revision courses in order to enable our students to excel. Learn the essentials of Windows Operating System and applications of Microsoft Word. An absolute must for beginners with little exposure to computer systems. Simple keyboarding and the layout of the keyboard are discussed before practice is don on an actual keyboard. Being able to use Microsoft Word has become essential in today’s world and although most people can use the basic tools of this application they are not able to utilise it to its fullest. These courses will guide the learner through Microsoft Word, with focus on competency at all levels. These courses will guide the learner though Microsoft Excel and the use of spreadsheets. 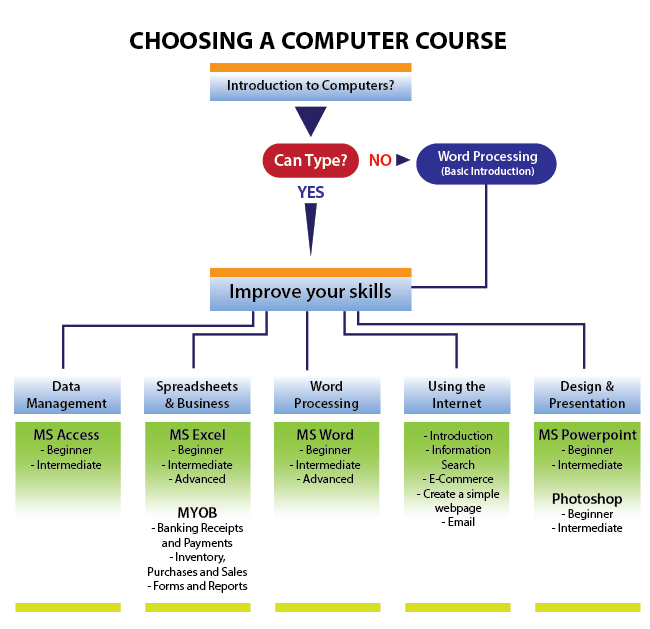 The learner will learn to load and correct files, transfer information, save files without overwriting previous files, make alterations, apply correct formula to specified data and place the answer generated in the appropriate cells, produce the structure needed without loss of data, and print the spreadsheet in its entirety. The focus is on the creation of customized worksheets for the different levels, concepts and requirements in business accounting. This course will guide the learner through the main uses of the Internet. The learner will understand and be able to efficiently use search engines, Email, E-Commerce and Web pages.